The 18 teams set to compete in the world’s biggest Dota 2 event have been confirmed, and it’s one heck of a line-up. The full list of attendees was completed on Monday as the qualifiers wrapped up, with the final contestants from North America, Europe and Southeast Asia, securing their spots in the season’s grand finale. OpTic Gaming, OG and TNC Predator have all claimed places on the International roster via regional qualifiers, which comes as no surprise with each squad ranking on the Dota 2 Pro Circuit top 20. These competitors will join the existing slate of regional qualifiers including Evil Geniuses, VGJ Storm, WinStrike, Fnatic, Team Serenity, Invictus Gaming and paIN Gaming. Looking for MOBA games like Dota 2? Check out our best MOBAs. Rounding out the line-up are the teams who qualified via DPC points, including Team Liquid, Virtus Pro, VGJ Thunder, Mineski, PSG-LGD, Team Secret, Vici Gaming and Newbee. OG’s European Qualifier run stands out as impressive given the squad’s loss of key players Tal ‘Fly’ Aizik and Gustav ‘s4’ Magnusson earlier this year. The team continued to dominate the qualifier despite their untested line-up, playing a perfect group stage, dropping a mere two maps in the playoff round. The most notable absence are Ukrainian favourites Na’Vi, who failed to qualify in the CIS regional qualifier. The International is the biggest event in Dota 2, and one of the biggest in all of esports, only by Worlds. The tournament kicks off on August 15 at Vancouver’s Rogers Arena, leaving this year’s hopefuls less than two months to prepare for what will be the most important moment of their careers so far. 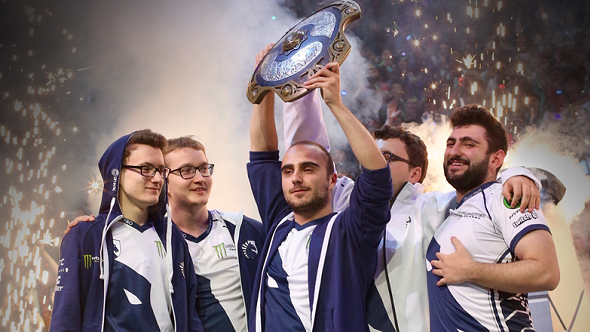 The UK recently saw a boost to its competitive Dota 2 scene with the first ever UK major, ESL One Birmingham. Russian squad Virtus.Pro took the $500K grand prize, and will be looking to repeat that success on the world stage at TI8. Fnatic, will be looking to improve on their ESL performance, having been knocked out in the semi-final round.